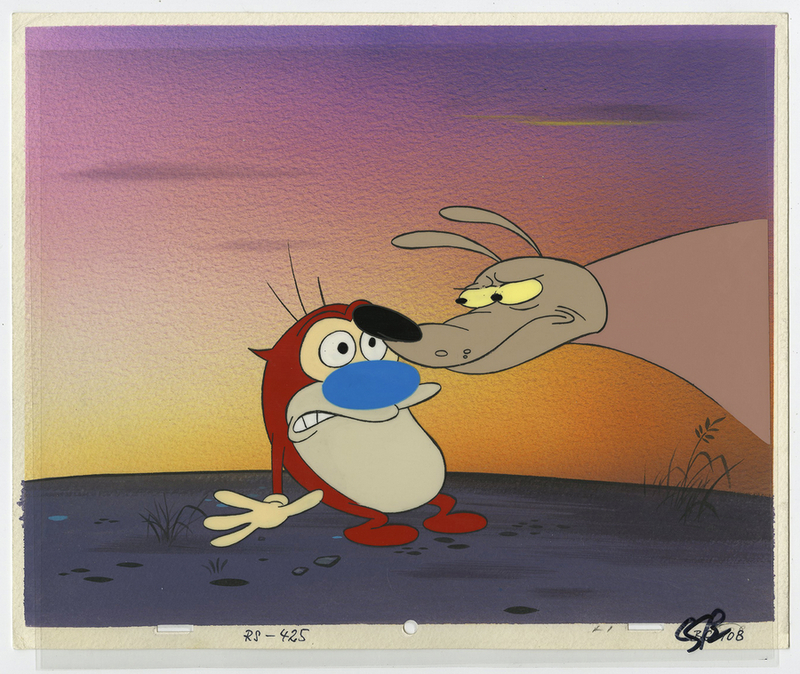 This is an original cel and background set-up from the Nickelodeon Studios animated series, The Ren & Stimpy Show (1991-1995). 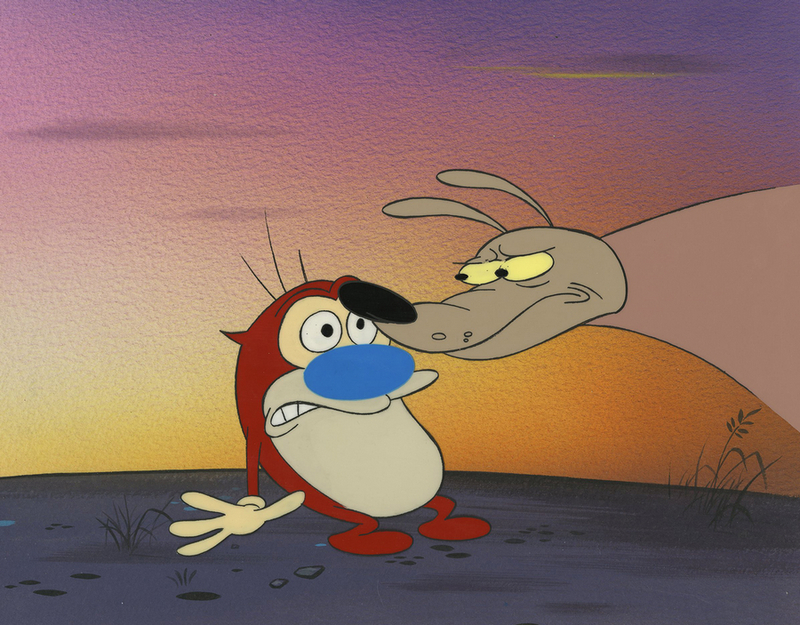 The set-up is comprised of two character cel layers and an original hand-painted production background. 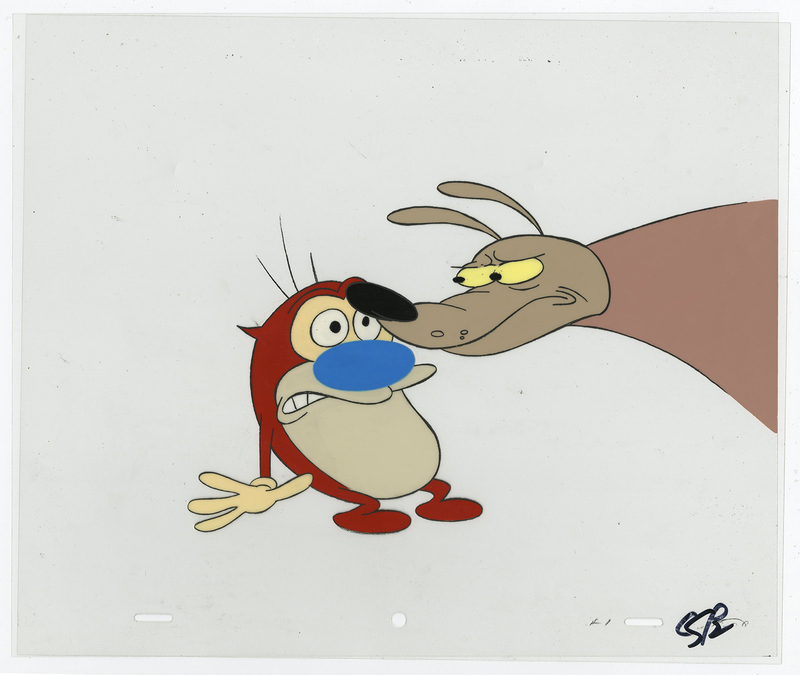 The background and cels were created at the studio and used during the production of episodes of the series. 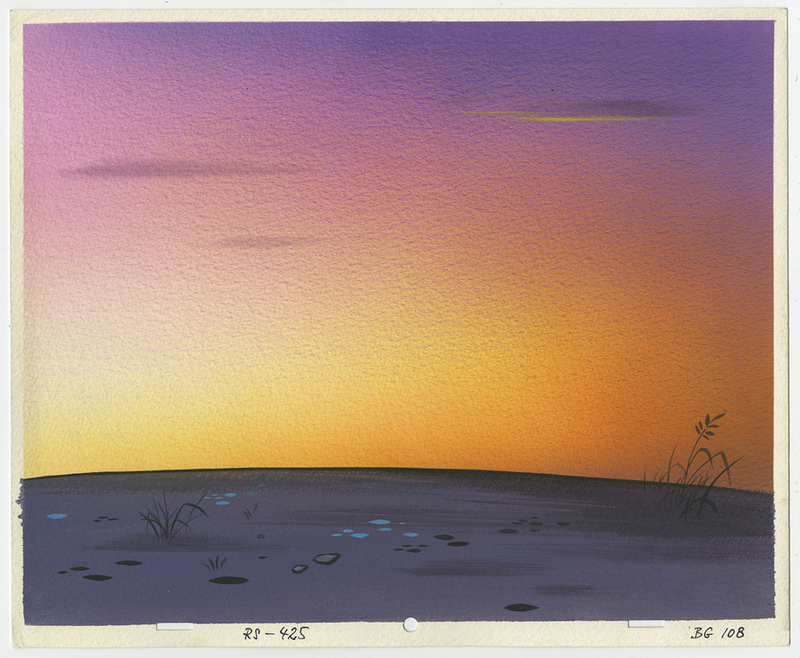 The background measures 10.5" x 13.5" and the cels measure 10.5" x 12.5 with the main imagery of the piece measuring about 9.5" x 12". The piece is in excellent condition.